When you or one of your children receives a college acceptance letter, you may initially feel like celebrating. But soon after, a pang of fear and worry may also kick in – once you try to figure out how you’re going to pay those massive college tuition bills. Fortunately, you don’t need to lose sleep over escalating college tuition – not if you know how to slash higher education expenses. 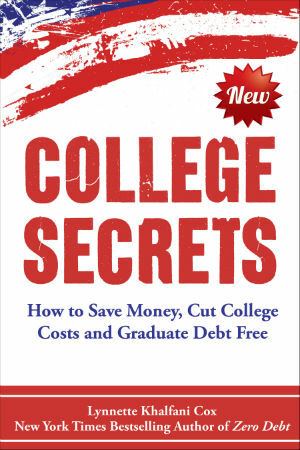 In my new book, College Secrets: How to Save Money, Cut College Costs and Graduate Debt Free, I reveal 24 little-known strategies to cut college tuition expenses and keep your budget intact. Here are just five smart ways to save thousands on college tuition. Lots of American students study abroad for a semester or even a year. But have you ever considered spending all four years of your undergraduate education in another country? If so, you could save a ton of money on tuition and other higher education costs. In some countries, such as Germany, tuition is free for all college students – including American students. That’s why if you do decide to study abroad, you certainly won’t be alone. About 46,000 U.S. students are enrolled in full-degree programs out­side the country, according to data from the Institute of International Education’s Project Atlas. Many of these students are no doubt enticed by lower tuition costs or even free tuition abroad in various countries. Since tuition around the globe is either free or low-cost compared to the U.S., students often find that they still spend less for a degree overseas, even after factoring in housing, travel and other college costs. Even if you have to pay slightly higher tuition rates at an out-of-coun­try college or university than your peers abroad must pay, that tuition will still be much lower than college prices in America. Scores of colleges and universities in America offer fixed-price tuition, a model that can save students lots of money over four years. If you attend a fixed-price school, the campus guarantees that the tui­tion rate you pay as a freshman will be the exact same rate you pay in your fourth (and hopefully final) year as a college senior. This pricing structure could keep a bundle of money in your pocket, considering that tuition rates have generally been going up nationwide at all types of institutions. The College Board says that tuition and fees at four-year public colleges have increased 27% in the last five years. Over the same timeframe, prices at four-year private schools increased by 14%. So it can pay to consider campuses offering fixed-price tuition. The University of Dayton is one of them. It has a four-year tuition model, which began in 2013-2014 and locks in the cost of tuition across a four-year period. George Washington University also has a tuition-pricing guarantee. It’s been doing it for more than a decade. Unlike many other schools, GW locks in a set tuition price for five years, instead of just four. So does Kettering University. For new students enrolling at Kettering in 2014-2015 school year and thereafter, Kettering is offering fixed rate tuition for up to 10 semesters (5 years). Beginning in the 2015-2016 academic year, Ohio University will join the ranks of postsecondary schools trying to keep a lid on tuition by switching to a fixed-price tuition plan as well. But the school is unique in that its “Ohio Guarantee” plan maintains the cost of not only tuition, but also fees, room and board/dining over 12 consecutive semesters. The college graduation rate in America is kind of appalling. Only 39% of U.S. students actually earn a college degree in four years. Most students take five or even six years or more. But for some savvy students, four years is too long to be in school — academically, socially and financially. So these students accelerate their learning and aim to finish their undergraduate studies in just three years. If you can earn a degree in only three years, it’s a major cost saver on tuition and other expenses as well. Taking AP and CLEP exams, as well as college courses while still in high school, are sure-fire ways to push you toward earning a degree in three years. You can zip through college faster by taking online classes in conjunc­tion with your regular classes, taking heavier course loads during the aca­demic year, and studying during the summer months too. It’s also a good idea to target schools that specifically offer three-year programs. For example, Ball State University has a program called Degree in Three. Students can earn a Bachelor’s degree in 30 majors or areas of study. Anna Maria College in Paxton, MA has a new online, 3-year business degree program. The University of North Carolina at Greensboro has an initiative called UNCGin3, which offers priority registration to highly motivated freshman, transfer and returning students who want to com­plete their degrees in three years. Hartwick College in New York likewise has a three-year degree program, and Manchester University in Indiana has a program called Fast Forward that gets students out of college in three years. And officials at the University of Charleston in Charleston, W. VA, who slashed the cost of tuition at the school by 22% a few years ago to promote affordability, are also now pushing three-year degree options to save students money. At Charleston, about 25% of students earn a degree in just three years, helping to dramatically minimize debt and overall costs for those graduates. Many colleges lower their tuition rates for students taking summer classes. It’s easy to understand their rationale. Dorms are empty — or at least no­where near capacity. Most faculty members are away, and many school programs and services simply aren’t operating at full throttle in June, July or early August. Thus, summer students can bring in additional revenue for a campus during what’s traditionally the slow part of the academic year. So if you’re willing to study when your classmates might be working, doing internships or just goofing off at the beach, you can save money on higher education costs. The University of Texas at Austin has a tuition discount policy in force for students who enroll in summer courses. Tuition for these summer class­es is 15% less than classes taken during the fall or spring terms. There are seven federally recognized “work colleges” in America where stu­dents can earn while they learn. If you get into one of these colleges, you’ll be happy that your tuition is either free or very low compared to the vast majority of U.S. colleges and universities. Work colleges have been around for over 150 years. But they’re grow­ing even more popular as students grapple with rising tuition and other exploding higher education expenses. The seven work colleges you should be familiar with are: Alice Lloyd College in Pippa Passes, KY; Berea College in Berea, KY; Blackburn College in Carlinville, IL; College of the Ozarks in Point Lookout, MO; Ecclesia College in Springdale, Arkansas, Sterling College in Craftsbury Common, VT; and Warren Wilson College in Swannanoa, NC. Alice Lloyd, Berea, and College of the Ozarks don’t charge students tuition. The other work colleges offer low-to-moderately priced tuition and other financial aid. Although school programs vary from campus to campus, all work colleges mandate that in exchange for free or reduced tui­tion, students must engage in labor activity, usually between 10 and 15 hours of work per week. These programs also teach students the impor­tance of service, as well as leadership skills and the ability to juggle multiple priorities, such as school and work. “No students can buy their way out of the work program. That is not an option. So the work levels the playing field,” says Robin Taffler, Executive Director of the Work Colleges Consortium. While 71% of all U.S. college grads wind up with debt, only half of those who attend work colleges have student debt upon graduation. And when they do, it’s usually about one-third to one-half of what their peers at other institutions have. 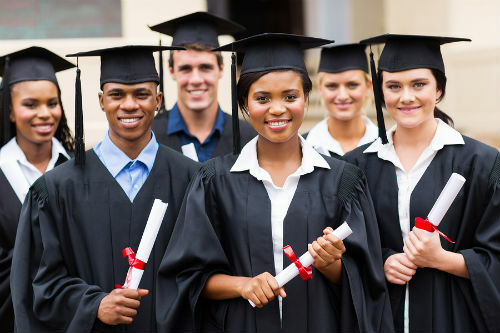 By using these and other smart strategies, you can save money on college tuition costs and avoid having excessive student loan debt. You can learn additional techniques to lower college tuition by picking up a copy of College Secrets, because getting a college degree shouldn’t put you in the poorhouse.